Though I am always in the area, I very rarely eat in Sea Bright or Long Branch. Past experiences have shown me that all most of these restaurants care about is pushing expensive drinks and then feeding you over-priced but below average food. Restaurants and businesses cater to the nearby area’s wealthy clientele. Woody’s Ocean Grill may be one of the exceptions. At the urging of a coworker who wanted to grab dinner following the graduation at the school we both worked at this past June, we decided to give this place a try. She actually used to work there when it was Ichabod’s. We walked in to a place which was literally “wooden” everywhere you look. It was beautifully designed to mimic its namesake, though you could also take it to be an innuendo if you wanted to. The prices were much lower than I expected for the area. Cocktails were around $8, while my draught Blue Moon was only $6. While I thought some of the appetizers were a little on the high side, I couldn’t really complain about the entrees. They start you off with complimentary tortilla chips and what seemed like a homemade salsa. It was mildly spicy, definitely fresh, with good texture and flavor. The cilantro was robust, but worked with the mixture. 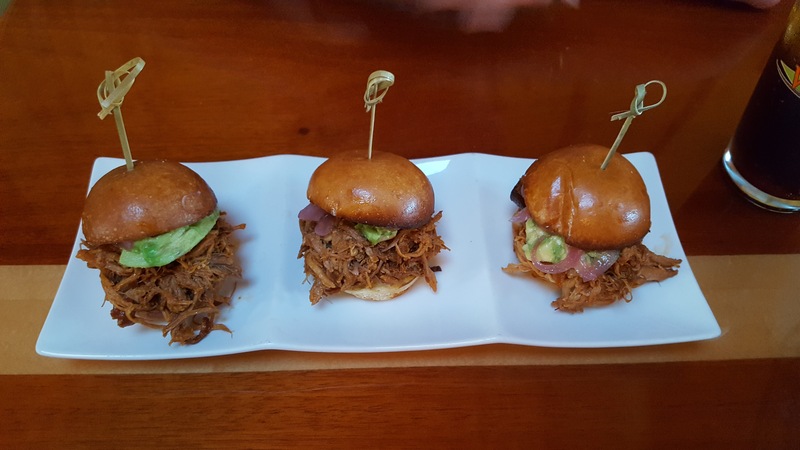 Our appetizer was the Carolina pulled pork sliders, which were topped with avocado and red onion. $8 for three was not bad at all, and I enjoyed it very much. They were more dry than covered in sauce, which is how it is sometimes served. This made for clean eating where you could actually taste the meat itself, not some thick BBQ sauce meant to hide an inferior product. After we finished the appetizer, I was already sure I would enjoy my meal. I was right. If you read my blog regularly, then you may realize that I do not order seafood in restaurants much. I actually love seafood (mainly shellfish) but it is hard to get it actually cooked well. It’s either too fishy or over-cooked to the point of being rubbery. But since Woody’s was located so close to the ocean, I had to give the “Seven Seas Pasta” a shot. 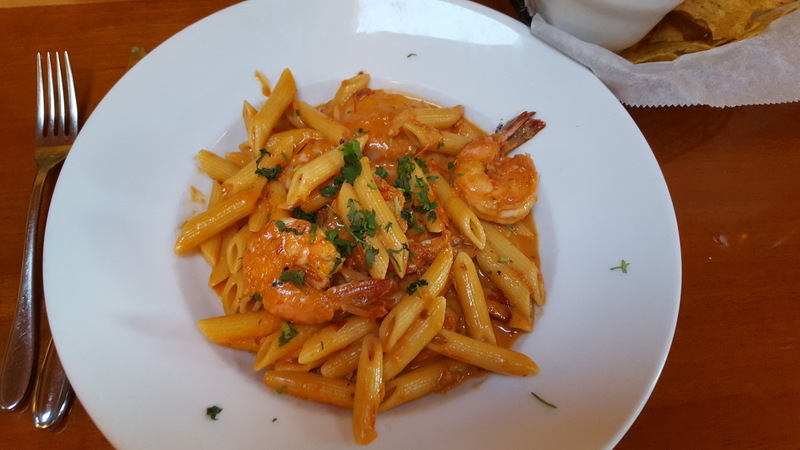 There were jumbo shrimp (4) and decent-sized scallops (3) served over penne and tossed in a light chipotle cream sauce. All were well-cooked; plump, tender, and juicy. The sauce was good too, picking up on the seafood, but it lacked a solid chipotle flavor. Perhaps a little bit more chipotle as a base, and a little more seasoning, and it would have been better. Still, it did not bring down the dish much at all. For $22 it was a total home-run. I would order it again and recommend it. Woody’s gets 4 out of 5 stars from me. This review was previously posted here. Woody’s Ocean Grill is located at 1 East Church Street Sea Bright, New Jersey.